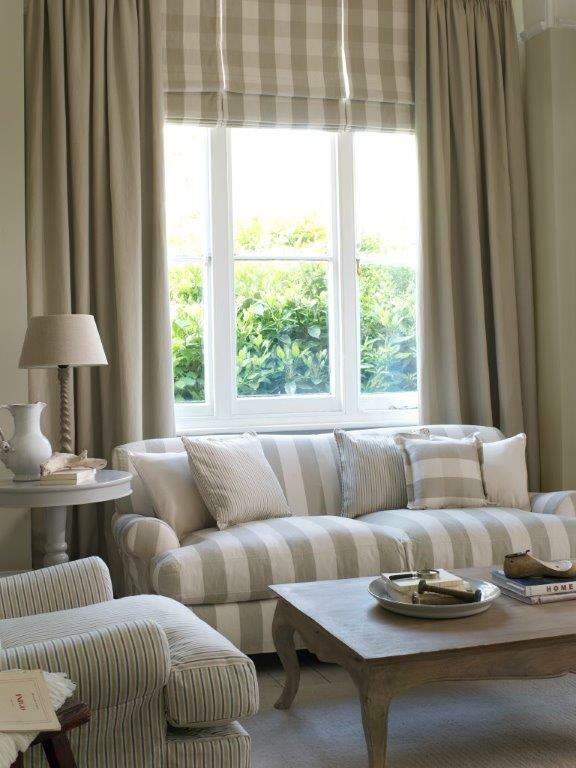 Based in Keston, near Bromley in Kent the team at Bromley Curtains and Blinds have over 30 years’ experience of making and fitting curtains and blinds in Bromley, Orpington, Beckenham, Chislehurst and the surrounding areas. Why choose Bromley Curtains and blinds? Which window treatment to choose can be a daunting task, we are here to make that easier. We will visit your home at a time to suit you and discuss the options, showing you fabrics, linings tracks and poles and answer any questions you might have. Alternatively Clients are welcome to visit our studio to browse our extensive collection of pattern books and accessories. Visits by appointment only. Our professional fitter will carefully take measurements and once your curtains or blinds are ready they will be expertly fitted. We pride ourselves with a high standard of workmanship and attention to detail. Affordable Bespoke Curtains- an alternative, flexible option, measured and/or fitted by Clients themselves . We work with all major fabric companies and leading blind manufacturers. Visits to the Studio. by appointment only.